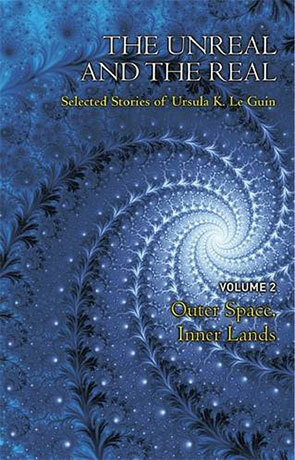 This second volume in a collected anthology of Ursula Le Guin’s work showcases more of her Science Fiction and fantasy stories and has a more prominent escapist theme than the first. Her introduction to this volume is deeply insightful, commenting on the writer’s perspective of genre being more about choice of technique than anything else. Once again we are treated to a variety of intention within the stories collected and we’re shown how Le Guin can vary the techniques she elects to use. We open with The Ones Who Walk Away from Omelas, another of her textured pictures, creating a moving image and story in an abstract flow of action. This won a Hugo award, but is certainly far from my favorite. Semley’s Necklace is an interesting fusion; a story written as an old epic, but given a science fiction context. Next comes Nine Lives, with more obvious science fiction tropes, but these used to explore the nature of a clone. Mazes is an odd contrivance, looking to role reverse our perspective with a prisoner kept like an animal. Stories range from four pages to plenty. Some are pure escape, others grounded in a contemporary or future context. Highlights for me would be Betrayal, The Wild Girls, The Rule of Names and The Poacher, which is a real treat of fairy-tale reinterpretation and let down only by its title. There is a real sense of instruction from this anthology and as a writer it’s amazing to see how Le Guin is able to make use of so many different techniques depending on the needs of the story. You never feel she is out of her depth, whether discussing an expedition to the Antarctic in the early 20th century or conveying the thoughts of a child growing up on a distant world. The collection demonstrates the point of her assertion at the beginning, but still retains enough of what makes her writing wholly hers, throughout. This second volume, published to accompany the first – Where on Earth, is probably slightly stronger in terms of the writing variety and appeal of stories. Neither collection requires the other, but you may want both for that sense of completeness on your bookshelf. Written on 26th March 2015 by Allen Stroud.